What do you think is the most efficient way to get Shark Crystals? Forge the shark with no upgrades? Max them before you forge them? You get shark crystal shards for sig lvl. You also get a ton of bonus forge xp for sig lvl. I feel like some folks aren't aware of this. It's ideal to hold onto your sharks for a while and try to get that sig lvl up by either feeding them programs or duping them. There's a trade-off for using programs on sharks as you miss out on regular bot crystal shards, so its up to you. But, if you choose that route you'll have a continuous stable of sharks as they'll keep producing shark shards when you forge them away. If you can be patient and do this you'll never need another shark week again. You'll always have them. It’s just a shame that the 2* sharks from Arena have to be claimed within the week or they’re gone. I would’ve lived off these sharks. I opened up my first 5* Shark and got the demo. I thought it was the S-1000 lol. Nearly jumped out my chair. For the 2*s in arena this week, I would rank them up as much as resources allow and then forge them. Repeat each day for maximum 3* shards. Then for the last two days of shark arena, keep them so they are duped. Build them up with sigs afterwards. The old discussion with the shard formula. 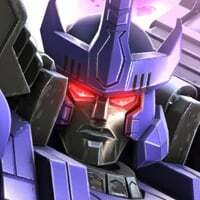 So right now, I am holding onto my 2*Sharkticons. 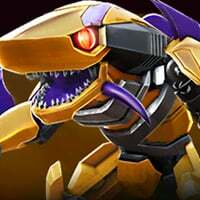 Thanks to going through my lineup for Arenas once daily, I will guaranteed that all my 2* Sharkticons will have a minimum Sig Level of 30 come the end of Sharkticon Week (some could have much higher Sig Levels). I have yet to open any of my 3* Sharkticon Crystals, but I will open them after Sharkticon Week. This is where the fun begins. 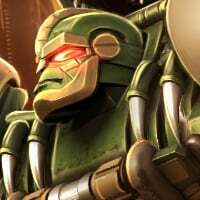 My goal is to forge my 2* Sharkticons into their respective 4* versions. I will then get enough shards to get multiple 3* Sharkticon Crystals, open those crystals to get some duped 3* Sharkticons, and Forge them into their respective 4* Sharkticons as well. 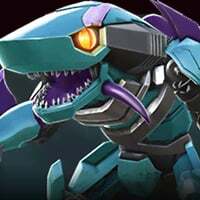 I will not go after the S-1000 this time around; the main purpose of this Sharkticon Week is to significantly boost the Sig & Forge Levels of my 4* Sharkticons. What's the point of boosting the forge level of a 4* Shark? You'll lose forge exp (although tiny) when these 4* Sharks are fed to 5*.